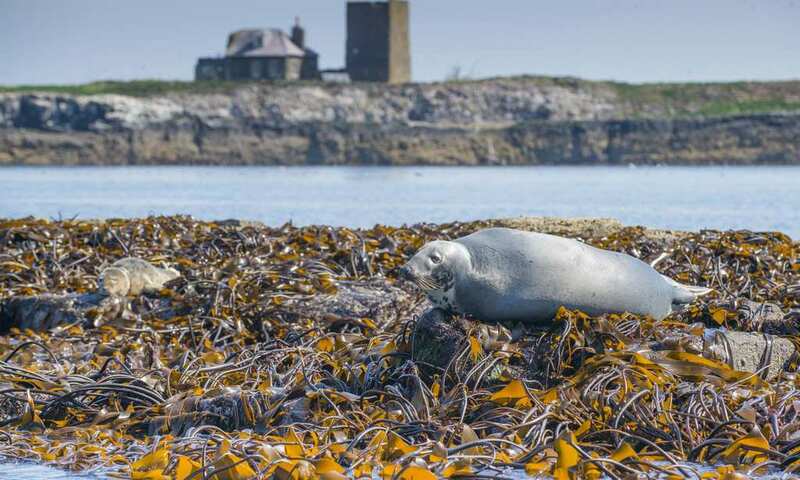 Great Britain has been hit by bad storms this past week and its coastline has been hit hard, but there is a silver lining: vegan enthusiasts and foragers alike will be pleased to learn that troves of Laminaria hyperborea, a species of kelp, have washed ashore. All kelp is safe to eat, as long as you clean and cook it properly. Despite this, local authorities are coping with the massive task of cleaning up the smelly, rotting stipes (stems) that have swept ashore. Laminaria hyperborea has leaves that can grow up to 10 feet long and is one of seven different identified species in the country’s waters. These lifeforms grow together in undersea forests on rocks from three to 105 feet under the water in the presence of enough light, absorbing carbon and stabilizing local ecosystems. 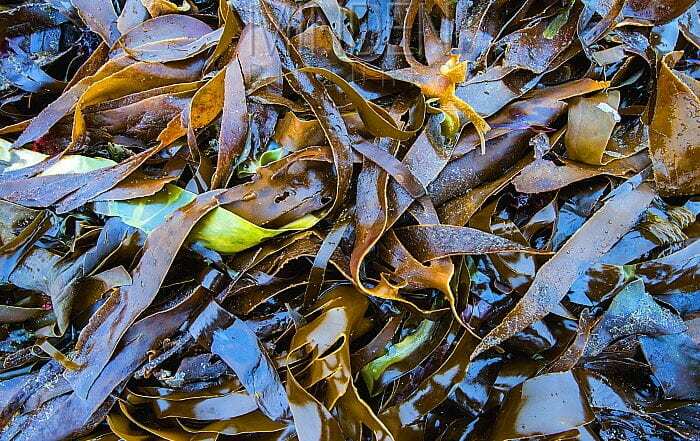 The kelp provides marine animals with food as well as a habitat to live in. Locally the species is known as tangle, cuvie, or redware. It is used in agriculture as fertilizer, as sheets of it in the Hebrides are spread on fields to decompose and provide nutrients for the soil in situ. Besides fertilizer, kelp is processed for its alginates, a polysaccharide that is used to thicken food, toothpaste, and medicines. While island countries such as Japan have utilized seaweed for food traditionally, it plays a minuscule role in English cuisine. However, recent health food trends mean that this seaweed may well be consumed, thanks to promotion by well-known celebrities. Celebrity chef Jamie Oliver dubbed it “the most nutritious vegetable in the world.” It helped another celebrity chef, Heston Blumenthal, lose some 30 pounds ahead of his 40th birthday as part of a healthier diet. After that, he quipped that Britain’s National Health Service (NHS) should replace the salt in its patient meals with seaweed.